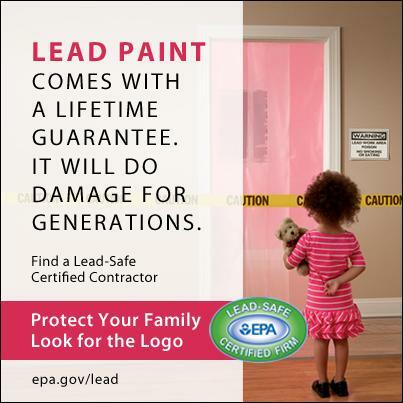 If your home was built before 1978, old lead paint on your walls, doors, windows, and sills may be dangerous. Learn more. In the past year, EPA has taken 75 enforcement actions against renovation contractors and lead-safe training providers who failed to protect people from harmful lead exposures. January 10, 2017 -- EPA published a science-based public health approach and a coordinated strategy for continuing our progress to reduce lead exposures and protect public health. This approach outlines a common set of public health principles that will guide the Agency’s work to eliminate the adverse effects from lead exposure. Read more. November 3, 2016 -- EPA announced more than 100 federal enforcement actions completed over the last year that require entities like renovation contractors, landlords and property managers to protect communities and public health from exposure to lead. Read more.